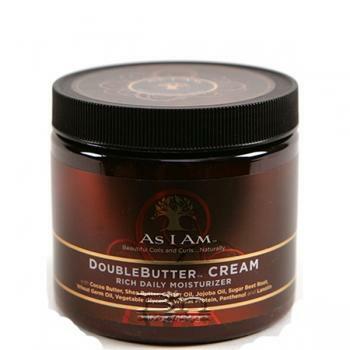 As I Am Double Butter Cream Rich Daily Moisturizer with Cocoa Butter, Shea Butter, Castor Oil, Jojoba Oil, Sugar Beet Root, Wheat Germ Oil, Vegetable Glycerin, Wheat Protein, Panthenol and Lanolin. Directions: Apply sparingly or liberally depending upon your hair's need for moisture, manageability and vitality. 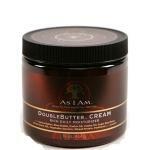 Rub within palms and scrunch onto hair gently so that coils and curls are undisturbed. May also be used to set soft lustrous twists and twist-outs.